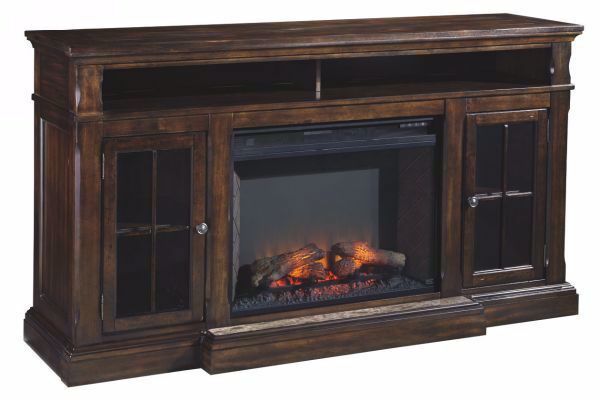 The beauty of the Roddinton TV stand will immediately engage you. The slight breakfront shape is a rare find and an ideal fit among traditional and eclectic tastes. Soft black undertones highlight the warm finish. Multiple cubbies and glass-door enclosed shelves organize your audio/video components and plenty of extras. Fire inset has 6 level temperature setting, remote control with LED display.